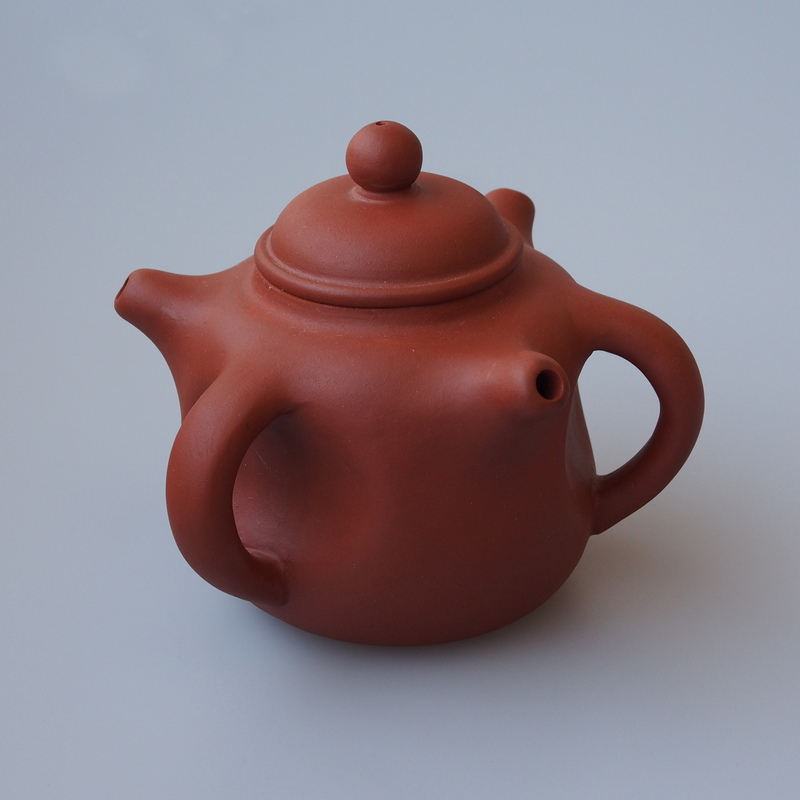 A teapot with 3 handles and 3 spouts, traditionally termed as the “teapot for the blind”, it is easy to grab in all directions. I wonder if it is better to be called “wine flask for the drunk”. A special twin teapot for drinking floral tea. 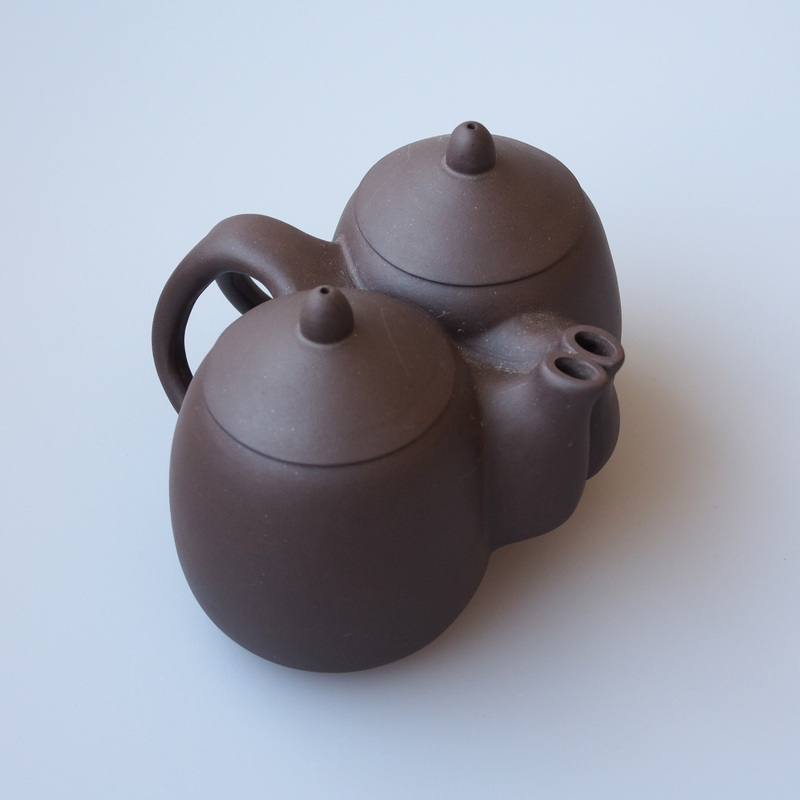 The teapots are conjoined, each with its own compartment; one for tea leaf and one for flower. For the tea enthusiasts, the brewing time for leaf being different from brewing flowers, requiring longer time and hotter water. 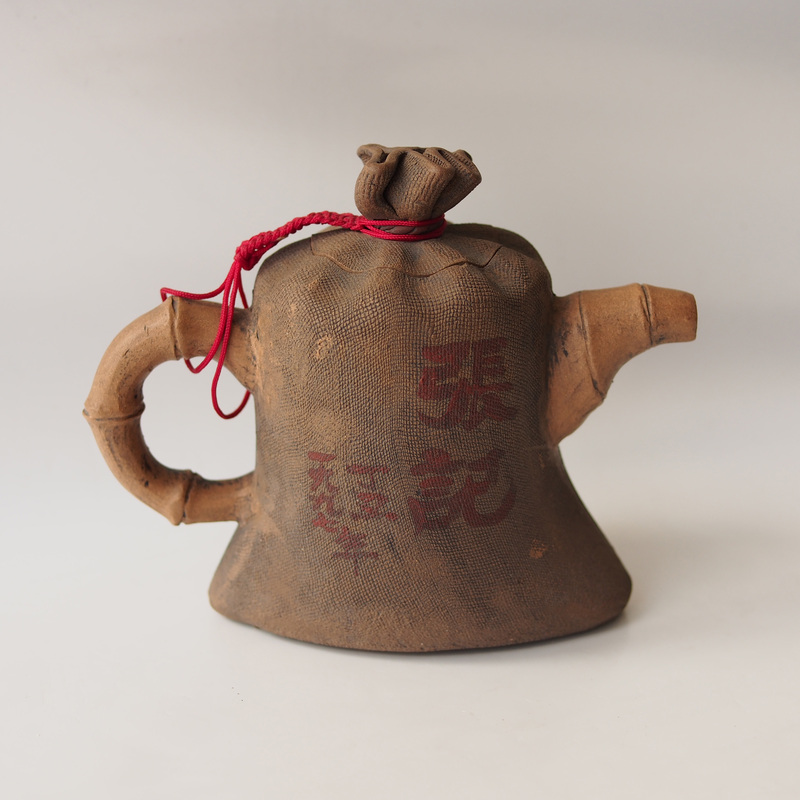 A Yi Xing teapot made in the form of a traditional hessian sack. When I was a child, the hessian sack was the equivalent of the popular red white blue nylon bag. They were used to hold anything from rice grain to jumping sack game. Most memorable of all, is a sack that was supposedly kept at the roof top. As a discipline measure, us kids were told that if we were to misbehave, we will be brought to the roof top, put in a sack and lock up in the store room. None of us were naughty enough to have seen the back but to this day its still a horrible thought. That’s the power of imagination. 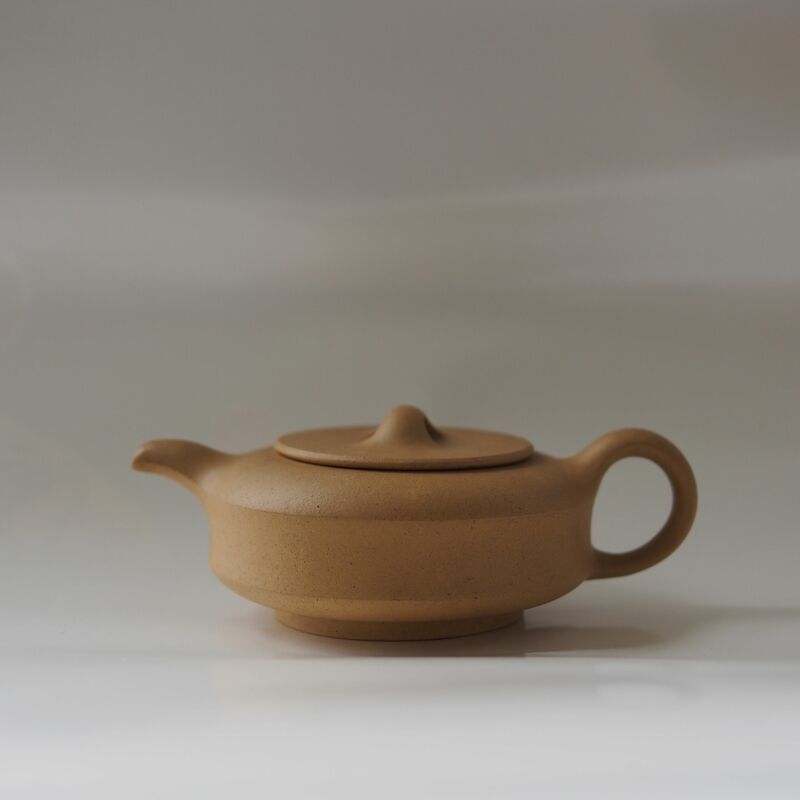 This is our family teapot, though it might look very modern or even muji like, the form has been around since the late Qing dynasty. 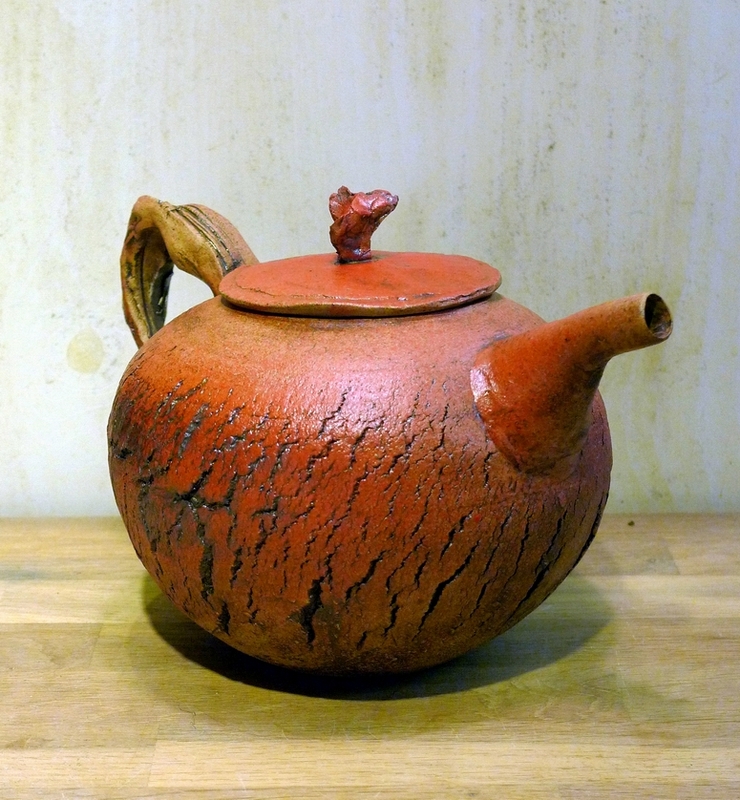 My first association of a teapot was from a drawing, then the nursery rhyme. When I was old enough to go to restaurants that I met the first teapot in a tea house (the place where they serve Chinese tea and dim sum). It was a comical looking object, perfectly fitting to the first two descriptions I had learn, rounded short and stout. It was not until later when I was trusted to pour tea for myself that I realized it is impossible to maneuver this typical Chinese teapot. The design is appalling, the pot is short and long, the momentum pivoted from the handle made it heavy to hold, then the handle to small making your fingers scorch by the side of the pot. It is made worse by the dripping spout and the lid that keep falling off. 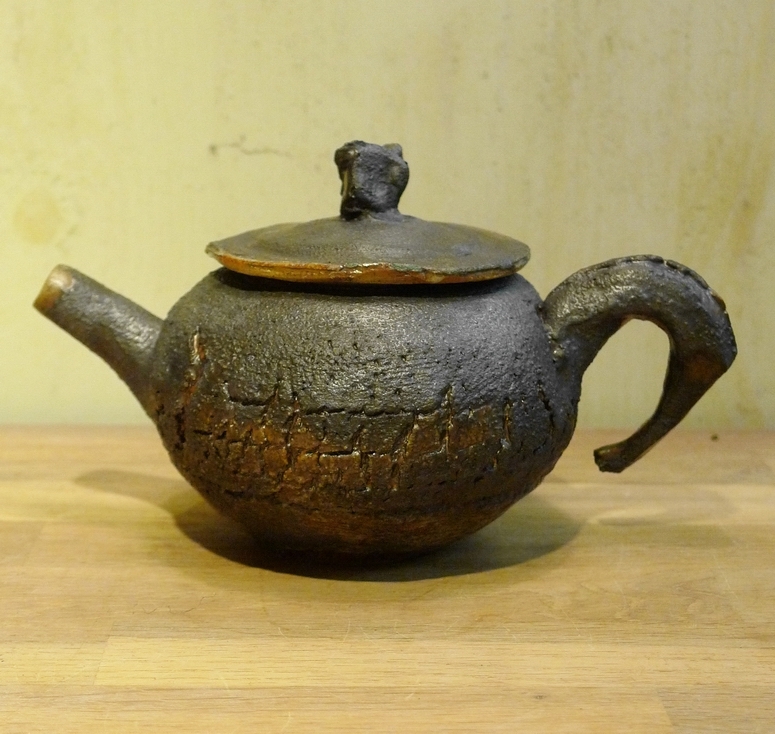 If the Chinese love to drink tea then why would this become the standard teapot for tea houses and restaurants? 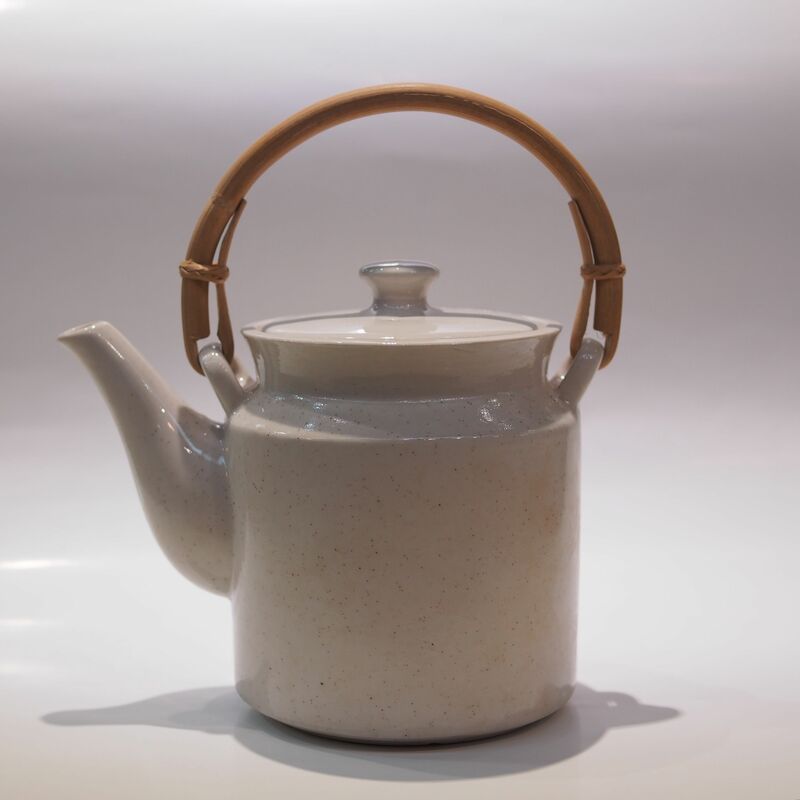 Looking at the history of Chinese teapot where the form was influenced mainly by the development of tea brewing method, design of teapots were sophisticated and refine, it would seems that there is no place for an object like this to survive. 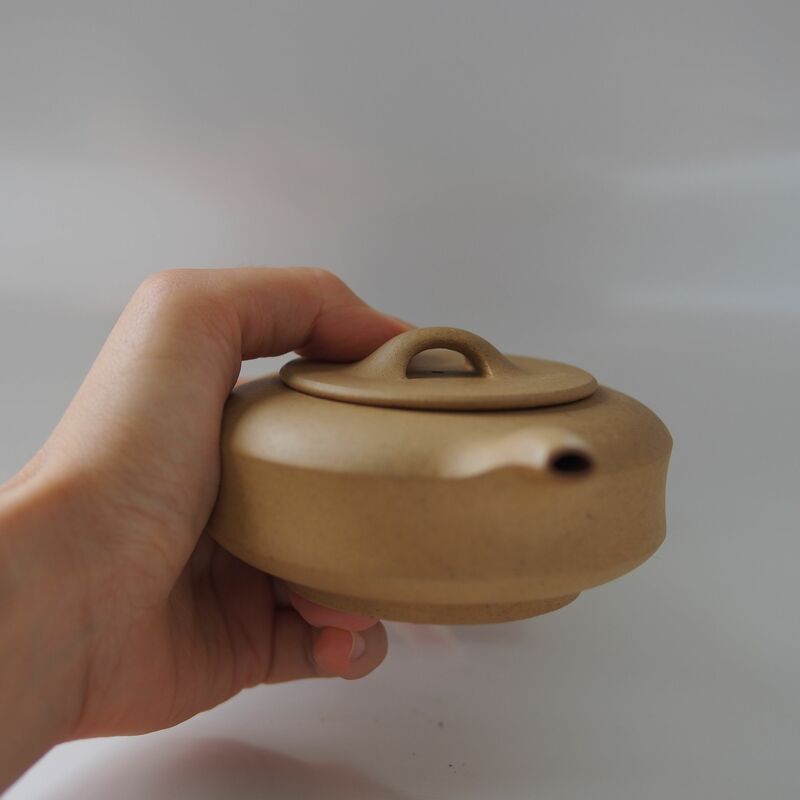 My only guess is that it has been modeled after one of the miniature zi sha teapot, the special teapot where the fragrance of the tea is celebrated. Tea leave packed, brew for seconds with small amount of hot water which is completely drained out for consumption. The whole design evolve around the power of the smallness, scaling it up loses all its meaning whatsoever. Tea drinking is a social activities but it can also be a personal indulgence. 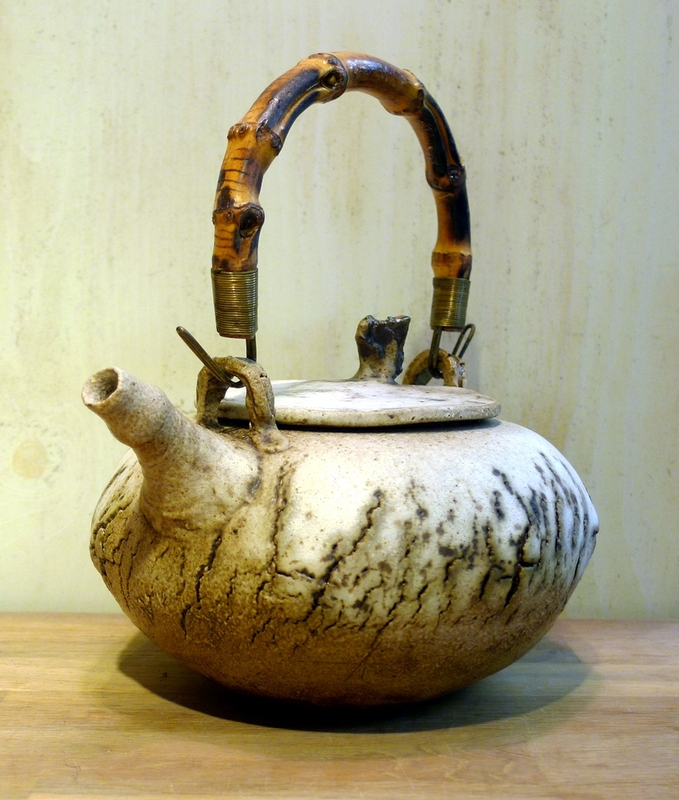 This type of teapots were made to be drank directly from the sprout while holding the handle in the opposite direction with the sprout facing oneself. They are much appreciated by the scholars, an object of desire to be fondle with by the eye, the touch and suckle of fragrant tea. 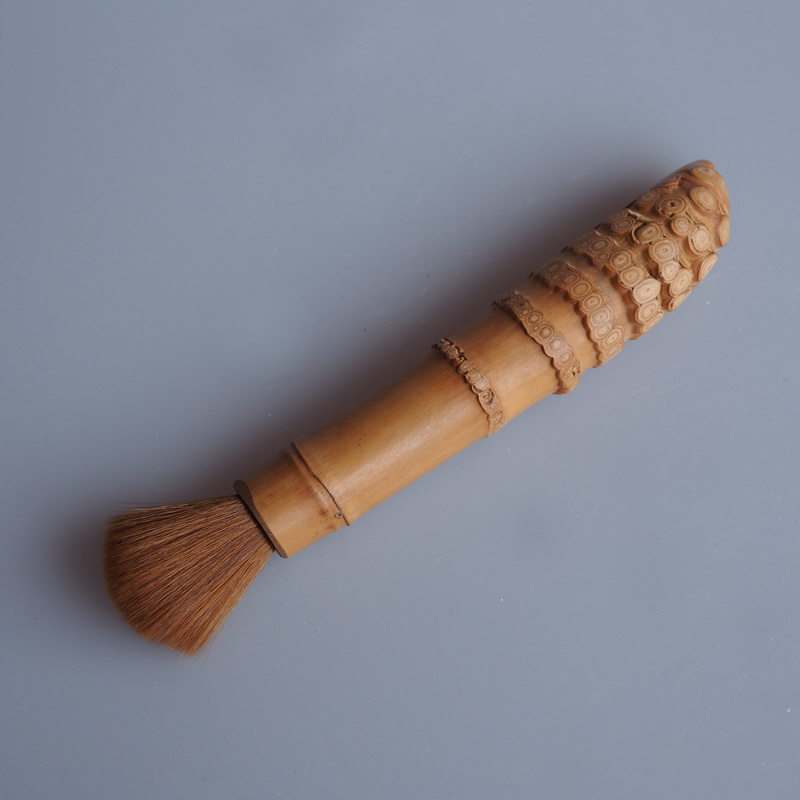 It would perhaps be comparable to a beloved pipe which one would enjoy touching and mouthing. This is an octagon tea cosy, it was used as an insulator for the ceramic and metal teapot which gets cold easily. 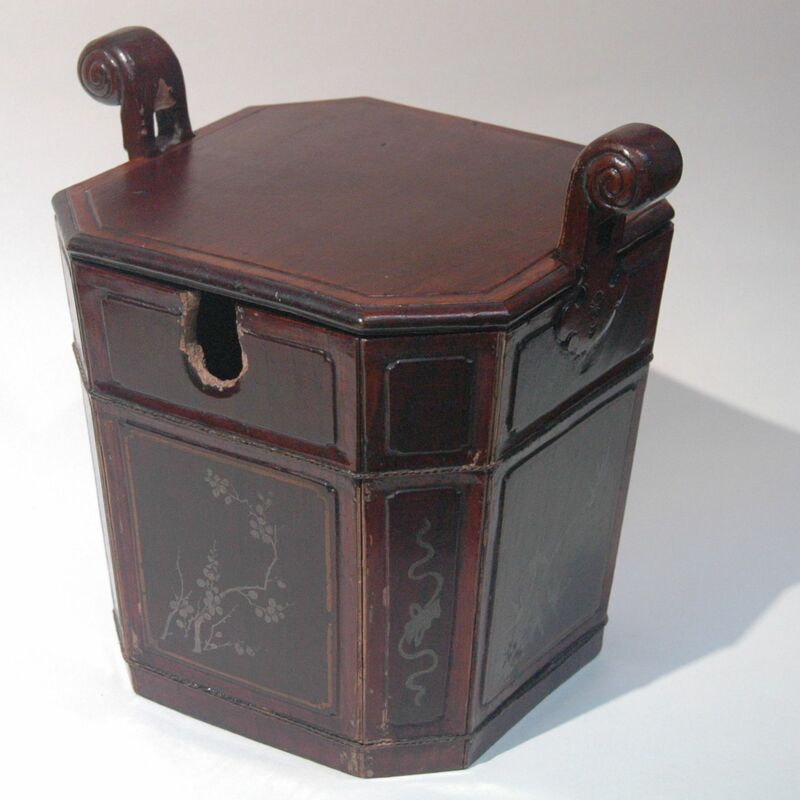 The small opening is for the spout of the teapot while the top two is for the lock of the lid which unfortunately is missing. Here is another tea cozy made with bamboo.